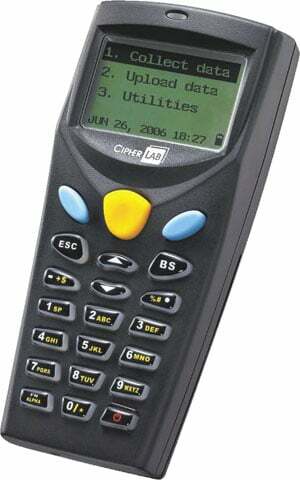 CipherLab 8000 Series: 8001 - Mobile Computer, Pocket Size, Batch, 2MB, Li-Ion Battery, Laser Scanner. Interface Cables and Cradles Sold Separately. Charging Cradle (Part# A8001RAC00004). The best things come in small packages-that's why you can expect incredible productivity and great value from the CipherLab 8000 Series. These pocket-sized mobile computers put fast, accurate barcode scanning and wireless communications options in your hands (and your pocket) to accelerate product ordering, item picking, route accounting, and other AIDC activities. Durable design and low cost mean you reap a lot of value over a long time-at a minimal investment. For such a small package, there's nothing like the 8000 Series to cost-effectively make your work easy and efficient. Charging Cradle. Includes USB cable and US power adapter. For use with 8000 series. 3-Year Standard Comprehensive Service Contract. Must Be Ordered At The Time Of Equipment Purchase. Comprehensive coverage Excludes Only Units That Have Been Crushed Or Submerged In Water. Unit Repaired And Returned To Mfg. Spec Within Two - Four Business Days. Technician Level Phone Support Included. Application Re-Loading Included When Provided By Customer. Ups Ground Back To Customer Unless Customer Pays For Expedited Freight Service.